Home How would Anwar Ibrahim change Malaysia’s Foreign Policy as PM? How would Anwar Ibrahim change Malaysia’s Foreign Policy as PM? Earlier this month, Malaysia’s former deputy prime minister turned deputy prime minister turned prime minister-in waiting Anwar Ibrahim made a visit to the United States. 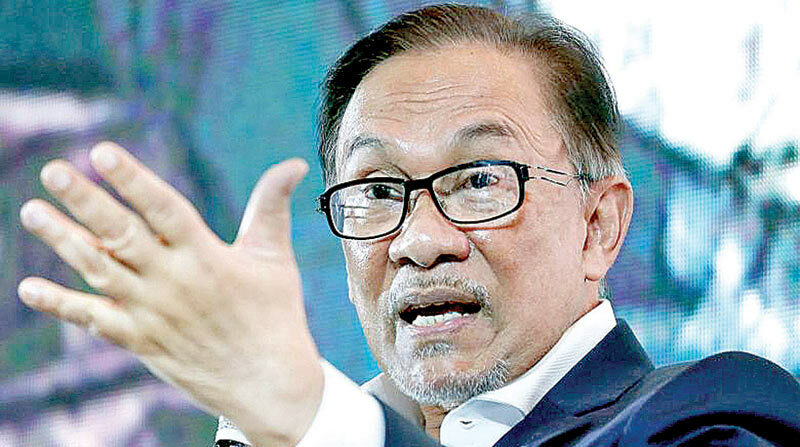 While Anwar’s private and public engagements, which took place in various stops including in Washington, D.C. and New York, touched on a range of issues, they also spotlighted the important but still unanswered question of how he may reshape Malaysia’s foreign policy if and when he assumes the premiership from Mahathir Mohamad. As I have observed before, while Malaysia’s foreign policy over the past five decades or so has had several traditional features broadly speaking, including fostering closer ties with neighboring states, expanding the country’s role in regional and global fora, and attempting to maintain equidistance between major powers, including but not limited to the United States and China, there has of course been change amid that continuity. For instance, Malaysian foreign policy under Najib Razak, who served as prime minister for around a decade before his shock ouster in elections last May, had seen some successes, from the relative warming of Malaysia-Singapore ties to the cultivation of better ties with Washington, but also significant challenges, including a meager defense budget, an underperforming economy, and a more divided country. With the shock victory of Malaysia’s opposition during elections last May and Mahathir’s return to the premiership under the new Pakatan Harapan (PH) government, among the questions had been what this would mean for the country’s foreign policy. We have seen some unsurprising tendencies thus far that hark back to Mahathir’s previous time as prime minister for over two decades – including a tenser relationship with Singapore, an even more heightened focus on the Israel-Palestine issue, and distant ties with Washington – as well as more strategic efforts to shape foreign relations such as the pursuit of a new defense white paper. But the more unknown aspect of this is how Malaysia’s approach to the world would change if and when Anwar Ibrahim assumes a premiership as part of a pre-agreed transition set to occur around two years into the PH government’s time in power. Though there may be no easy answer to this question, it deserves emphasis. For one, while the PH government has attempted to address some of Malaysia’s foreign policy challenges amid a full plate of domestic issues, we have yet to see the articulation of a comprehensive foreign policy vision to date. Speeches such as Mahathir’s address to the UN General Assembly in New York last year, while initially billed as articulations of the beginnings of a foreign policy worldview, in actual fact revealed little more than a set of tendencies on select issues rather than a comprehensive vision of how Malaysia sees the world, how it fits within it, and what specifically it will look to do to not only reach to it, but to shape it as well in accordance with its longstanding desire to be an active contributor. Though Anwar certainly already has somewhat of an indirect role in how some of these issues via his party in the current coalition, given that the prime minister continues to exercise significant influence in the formulation of foreign policy in Malaysia, his ascent to the premiership would presumably see a much greater influence from him on these issues and an opportunity to chart out a more comprehensive vision. For another, while we know quite a bit about Anwar’s views on the country’s domestic politics as well as his general tendencies on issues such as governance and Islam, we know very little about his concrete stances on foreign policy issues including, among others, how he would finance the country’s under resourced military to address manifold security challenges; where he sees new contributions Malaysia can make on regional and global issues including in multilateral fora; and what developments such as China’s rise mean for the balance of Malaysia’s alignments among major powers. Additionally, while there is also a tendency to look mostly at his time as opposition leader over the past two decades, rather than his entire record including his time as part of various ministries in an UMNO government during Mahathir’s time in power as well as his early days as an Islamic youth leader. As we have already seen with the international community’s discontent with Myanmar’s opposition figure turned leader Aung San Suu Kyi, it is important to pay attention not just to what politicians say when they are out of power, but what they may do when they actually acquire it. Of course, it will obviously be difficult for Anwar to publicly state his exact views while Mahathir is still premier, and anything he does say will have to be compared against what he actually does. Nonetheless, as Anwar has begun his return into politics, including his successful election contest in Port Dickson last year which saw him become a member of parliament, he has begun speaking about a bit more about his views in interviews and speeches and has also begun taking some personal foreign trips to neighbouring Southeast Asian countries, to nations in the Middle East, and to major powers such as China and the United States. Earlier this month, the question of what Anwar may mean for Malaysia’s foreign policy was in the headlines again with his visit to the United States, where he had a number of public and private engagements. Though many of these touched on domestic political developments, such as the ongoing investigations into the Najib-era 1MDB scandal, or broader issues such as Islam and democracy, in several of his public engagements and interviews, he did touch on some foreign policy issues, noting, for instance, his direct communication to China about its mistreatment of Uyghurs, the need for Southeast Asian nations to preserve their sovereignty in the South China Sea, and the complicity of international financial institutions in the 1MDB scandal during the Najib years at the expense of the people of the country.